Known as the 'shoemaker of dreams', Salvatore Ferragamo's playground was always Hollywood. His trusting relationships with legends of the screen in the 1920s through to the 1950s saw his name rocket to infamy; a legacy that endures via a focus on actresses and supermodels in Ferragamo campaigns today. Marilyn Monroe was one of Ferragamo's most high profile fans, wearing his four-inch heels religiously both on and off set. 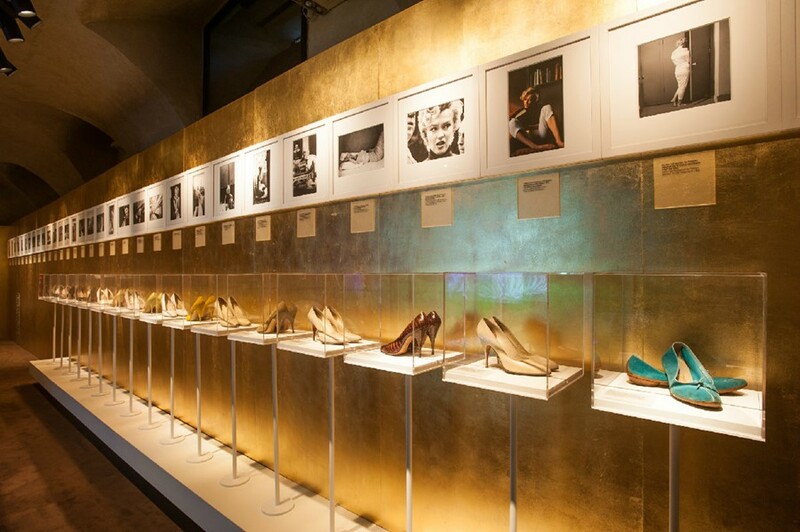 It is fitting then that Florence's Museo Salvatore Ferragamo should showcase a look into the life of Monroe. Going a step further, curators Stefania Ricci and Sergio Risaliti delved into the recesses of Monroe history to compile a book profiling more than just the exhibition. Ricci spoke to Dazed Digital about their processes and intimate findings. Dazed Digital: What can audiences expect to learn about Marilyn from the exhibition? Stefania Ricci: We wanted to reveal the sides of Monroe that few people knew: the fact that she was strong-willed – anything but silly – sensitive, a capable manager and a talented actress. We also wanted to show how her beauty was strongly comparable to classic beauty and mythical beauty. This search led us to display the famous photographs of her juxtaposed against the very masterpieces of classical art that inspired her portraits (Head of Dying Alexander, Botticelli’s Birth of Venus). These comparisons were based on evidence from photographers’ sources of inspiration. Dazed Digital: What kind of process was involved in sourcing all of the pieces on display? Stefania Ricci: After the 1999 Christie’s estate auction, all Monroe’s clothing and film costumes had been scattered throughout a myriad of private and public collections, so it took us over two years of research and official requests research and find and acquire the most important pieces of her wardrobe. Dazed Digital: What unseen materials are on display? Stefania Ricci: Many photographs in the exhibition were as yet unseen, following a scrupulous iconographic search of photographic archives. We were focused on creating an innovative exhibition; we even have a section featuring advertisements in which she appeared. Dazed Digital: What would you say made Marilyn such a fashion icon? Stefania Ricci: Her look was as modern as her figure, and along with Salvatore Ferragamo’s creations she had a preference for Emilio Pucci’s jersey dresses and Lanvin. She was known to buy her clothes at department stores as well as her tastes were quite minimalist. Dazed Digital: What is the book all about? Stefania Ricci: Our book is not just a catalogue for film, art or fashion historians, but rather a means of exploring the deepest recesses of [Monroe’s] personality. It will continue to reveal, long after the exhibition is over, what we discovered in our research. 'Marilyn' the book is out now. The exhibition runs until January 28th 2013 at the Salvatore Ferragamo Museum, Piazza Santa Trinita, 5 Florence.